Last week I climbed the North Face of the Eiger ... 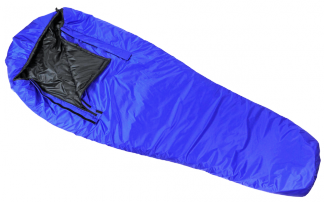 Both my self and my client used your Zeta sleeping bags. They were just fantastic and completely idiot proof. Twin 2-way zips at front for access and for armholes for cooking etc. 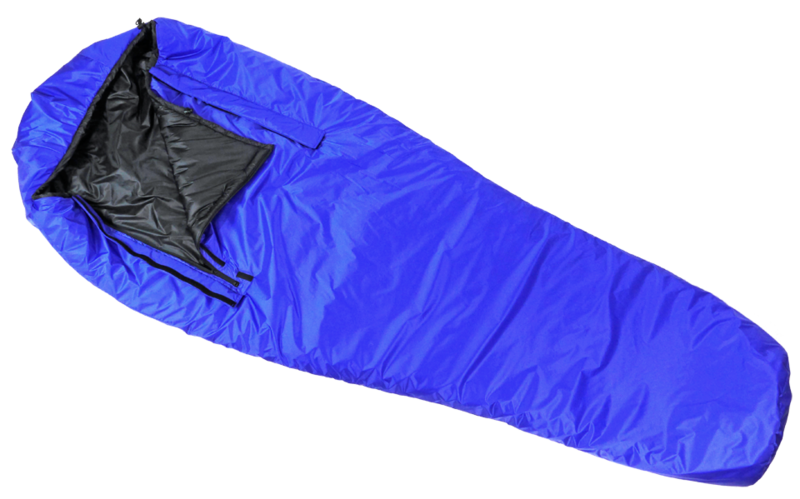 Updated with Primaloft Gold filling and a greater range of build options, the redesigned Zeta 2 synthetic sleeping bag is now 35% lighter and more compressible than before. The new, taped water-proof HS2 shell and overhead cowl options boost the bag’s performance in extreme conditions. 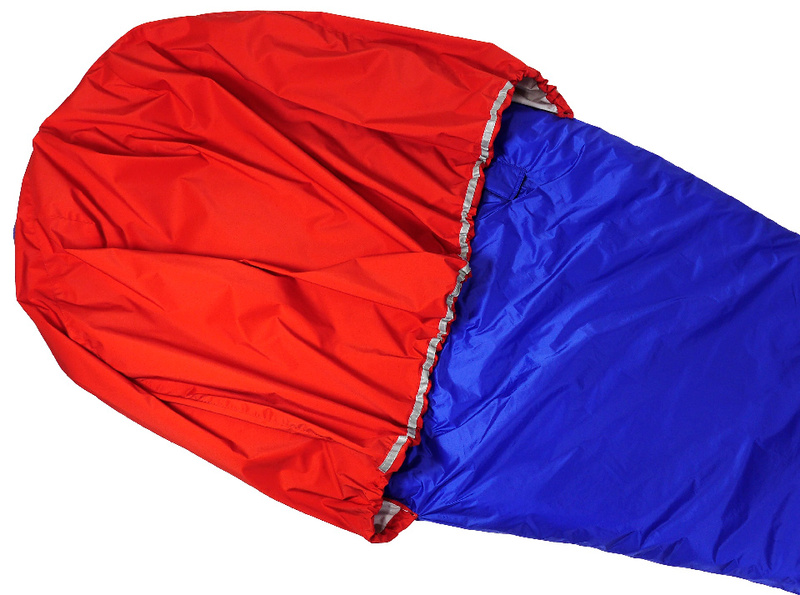 Combine with the new Zeta Overbag to extend the use of this specialist bag from -20°C to -40°C. Designed specifically for climbers' bivouacs in damp conditions, with all the advantages of Primaloft-Gold synthetic fill and water-resistant Ultrashell outer fabric. 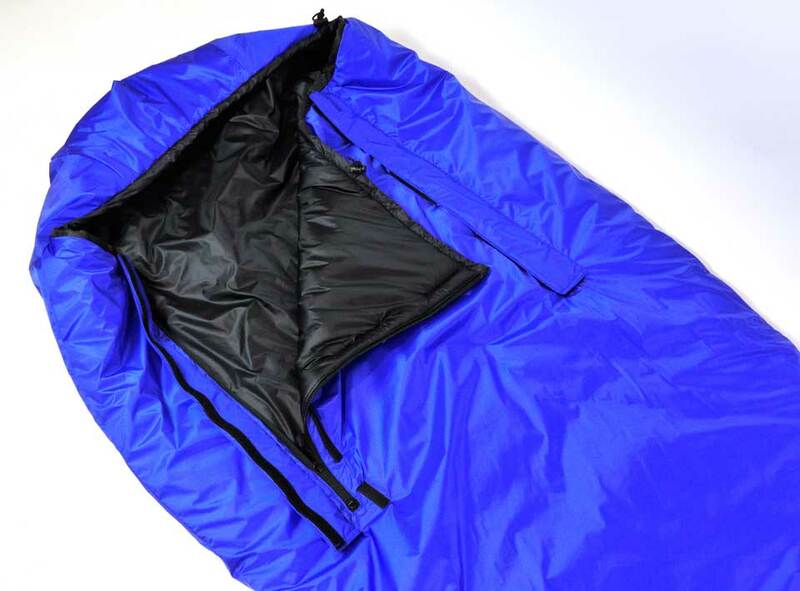 The twin front zips, an extra bivvy feature, double as arm holes for cooking and gear sorting. The large inside chest pocket keeps stashed kit warm. An optional cowl cover sheds snow. The reflective strip and clip loop confirm this bag is one for climbers in extreme situations. Read our technical briefing on down vs synthetic insulation. "Last week I climbed the North Face of the Eiger ... only the 2nd time a British Guide has done this. We had two bivys on the face and one on the summit. Conditions were difficult and we wore crampons for the entire route. 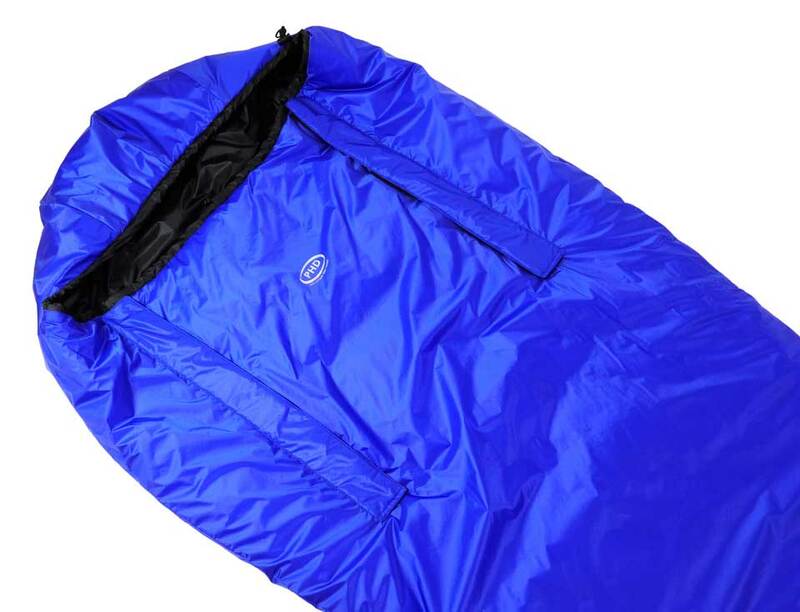 Both my self and my client used your Zeta 2 sleeping bags. They were just fantastic and completely idiot proof. "